Remington touts the Model 700 VTR A-TACS as the next generation in target varmint rifles. It certainly doesn’t look like any other rifle Remington offers, starting with the triangular contour of the barrel. 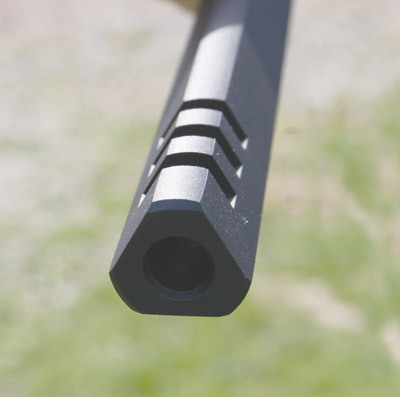 The barrel weighs less than a round or fluted target-grade barrel of comparable length, and the company says the design maintains rigidity and dissipates heat better than a round or fluted barrel of the same weight. The last 2 inches of the 22-inch barrel is a muzzle brake that vents at the top to reduce recoil and muzzle jump. The synthetic stock features patented Hogue® overmold grip areas and venting in the beavertail forend to allow the barrel to cool between shots. The “pixilated” Advanced Tactical Concealment Systems camo pattern creates an illusion of depth and shadow at a distance. There are two studs in the forend to accommodate a sling and a bipod at the same time. The rifle is made in .223 and .308 Winchester. We tested the .223, shooting Remington 55-grain Premier AccuTip cartridges, sighting with a Leupold VX-3 4.5-14x40mm hunting scope. 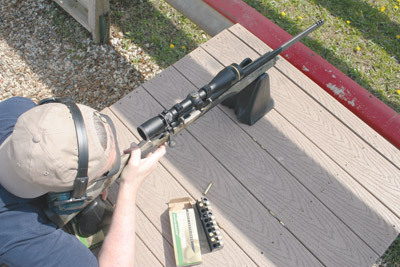 To simulate field hunting conditions, the bore was swabbed clean before each five-shot group. One cartridge went in the chamber and four more in the internal magazine. Then five shots were taken off of a solid rest, pausing long enough after each shot to carefully line up the next, but not long enough to let the barrel completely cool. 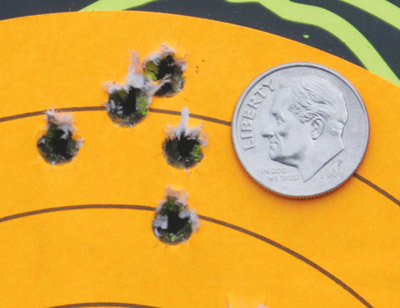 The first five shots at 100 yards grouped under 3/4-inch, and more shooting only confirmed that accuracy. 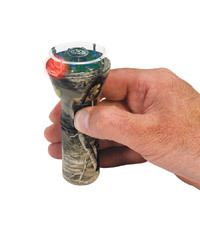 The X-MARK PRO™ trigger was exceptionally crisp, with no discernible creep. 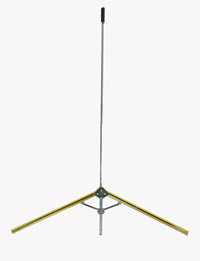 The break weight can be adjusted from 3 to 5 pounds without taking anything apart. 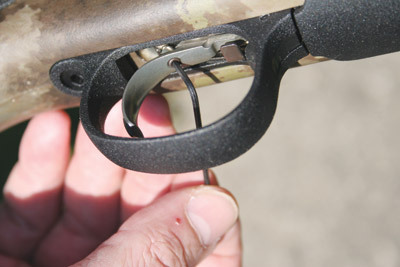 Simply turn an adjustment screw in the trigger blade. A SuperCell™ pad on the buttstock reduces recoil by half. The .223 is such a mild round it was hard to appreciate any recoil reduction from the pad or the muzzle brake. However, there was so little muzzle jump I had no trouble watching bullet hits through the scope.